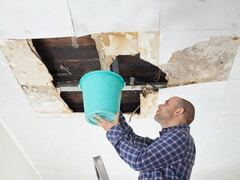 Do you need an emergency ceiling repair water damage service? The inspection of the residential or commercial property is the first step we take before moving forward into water damage restoration and mitigation. Removal and extraction of the water found during the inspection is the second step. Our team prioritizes the complete water mitigation of the property. Dehumidifying the property is the last step before we begin the cleaning and complete water restoration of the property. This is one of the most important steps as it will prevent any mold in the future. The last step in water damage repair is the cleaning of the property. Our specialists leave your home clean and sanitized giving it a brand new appearance. Here at Water Damage Restoration Miami, we have years of experience working with residential and commercial properties in need of a water damage repair service. 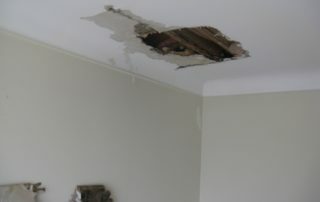 Why Choose Us To Help Repair Your Ceiling Due to Water Damage? 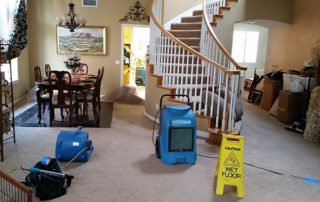 Our water damage restoration company uses the best equipment and strategies to make sure the extraction process and drying process of your home is completed in a timely manner and with efficiency. Through the entire restoration process, we track and document everything to make sure your property returns to its original pre-damage state. With a team of highly experienced water damage veterans, you can guarantee your properties full restoration. 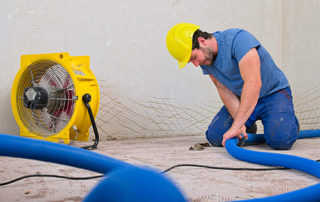 Our team has received extensive training in flood damage restoration, mold remediation, and more. Call us today and contact a team member! 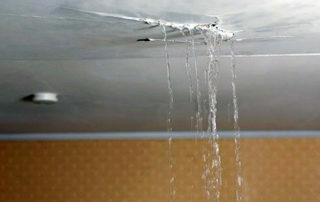 If you have experienced water damage to your ceiling due to a leak. Call us immediately to have a technician inspect your property. Even though every water restoration case is unique, the general process stays the same. Contact our water restoration team as soon a possible. We carry our an initial inspection of the property and assess all damage. We begin drying and dehumidifying the property. We begin cleaning and sanitizing the property. The full water damage restoration of the property begins. Our Water Damage Repair team works around the clock to make sure they restore your propety at any time incase of an emergency. Call us today and schedule your free inspection!